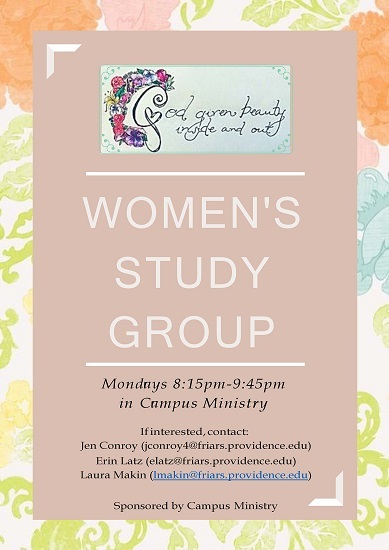 The Women’s Study Group helps women discover and deepen their relationship with God while learning about issues that affect them on campus and in society. Women of all faith backgrounds find the weekly meetings a source of support, strength and relaxation. Students have the opportunity to participate in two retreats throughout the year and cultural outings to concerts and museums. Finally, they help the local Providence community through service.